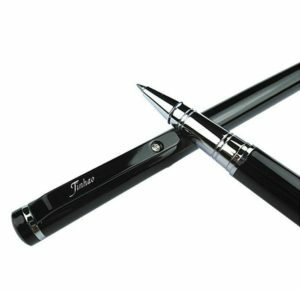 The Board granted a petition for cancellation of a registration for the mark JINHAO for ball-point pens and related products, because respondent failed to participate in the required Rule 2.120 conference. Shanghai QianGu Stationery Co. Ltd. v. EachBit Trade LLC, Cancellation No. 92062453 (June 6, 2016) [not precedential]. On May 24, the interlocutory attorney emailed the parties, inquiring as to their availability for the discovery conference. Petitioner’s counsel promptly responded, but Respondent did not. The interloc then sent an email to the parties setting the conference for May 31st at 1pm. Petitioner’s counsel called into the conference, but Respondent did not. The interloc then called Respondent, using the telephone number of record. Respondent did not answer; the call was directed to a voice mail system. The interloc left Respondent a voice mail message indicating that the Board was attempting to reach Respondent in order to hold the discovery conference, and requesting that Respondent contact the interloc as soon as the message was received. The Board therefore entered judgment as a sanction for failing to participate in the discovery conference. It granted the petition for cancellation and order the registration to be cancelled. TTABlog comment: Reminiscent of the Patagonia v. Azzolini case, TTABlogged here. TTABlog Tip: when dealing with Interlocutory Attorneys, don’t be an Azzolini.